The Pretoria Attorneys Association (PAA) represents the interests of Attorneys practising in the Pretoria area. The executive committee headed by Tiaan Joubert (Chairman) and Millie Shantall-Lurie (Vice Chairperson) consists of 16 members and meets on a monthly basis. The Association is organised in various subcommittees to best represent members’ interests. Two fully functional offices are located at the Pretoria High Court and Magistrate’s Court to assist Attorneys and members of the public. 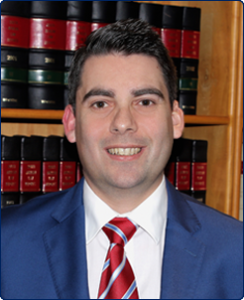 Mr Tiaan Joubert is an admitted attorney since 2000. Mr Joubert obtained the B-Proc and LLB degrees at the University of Pretoria: Higher Education (Tuks) and also holds a diploma in Labour Law. Mr Joubert is a member of the Law Society of the Northern Provinces. He has right of appearance in the High and Magistrate’s Court and is also a member of the Executive Committee of the Pretoria Association of Attorneys from 2009. Headed the administration of the offices of the Pretoria Association of Attorneys’ offices held at the Magistrate’s Court, Pretoria as well as the High Court of South Africa, Gauteng Division, Pretoria until 2015. Mr Joubert was also head of the marketing committee and the Deputy Chairman since 2014 and is currently the Chairperson of the Executive Committee at the Pretoria Attorneys Association. Mr Joubert is a Councellor of the Gauteng Law Society Since 2015 and the convener of the bursary scheme and subsidies sub-committees. Mnr Tiaan Joubert is ‘n toegelate prokureur vanaf 2000. Mnr Joubert het sy B-Proc en LLB grade verwerf by die Universiteit van Pretoria: Hoër Onderwys en het ook ‘n diploma in Arbeidsreg. Mnr Joubert is ‘n lid van die Prokureursorde van die Noordelike Provinsies. Hy het reg van verskyning in die Hooggeregshof sowel as Landdroshof. Hy is ook ‘n lid van die Uitvoerende Kommittee van die Pretoria Prokureursvereniging vanaf 2009. Mnr Joubert het aan die hoof gestaan van die administrasie van die kantore van die Pretoria Prokureursvereniging by die Landdroshof, Pretoria sowel as die Hooggeregshof van Suid-Afrika, Gauteng Afdeling, Pretoria tot en met 2016. Mnr Joubert was ook die hoof van die bemarking kommittee sowel as Ondervoorsitter sedert 2014 en is huidiglik die Voorsitter van die Pretoria Prokureursvereniging. Mnr Joubert is ‘n Raadslid van die Gauteng Regsraad sedert 2015 sowel as die sameroeper van die beursskema en subsidies subkomitees. 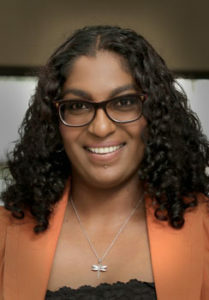 With a B.Proc from the University of South Africa, Millie was admitted as an Attorney in 1999, and specialises in all areas of Company Law and in particular with the registration of all types of Companies, special resolutions, prospectuses and rights offers, as well as all work related to the Companies Act 71 of 2008, as amended and the Close Corporations Act of 1984, as amended. She was also admitted as a Notary Public in 2000. She became a partner of Friedland Hart Solomon and Nicolson Attorneys in 2001 and heads the Companies’ department of the Firm. She represents the Pretoria Attorneys Association on the Companies and Intellectual Property Liaison Committee and has completed a course at the University of Witwatersrand in Advanced Company Law. Members of the Association are invited to address any concerns or refer any problems to her and she will attempt to resolve same in discussions with the Chairperson of the Companies and Intellectual Property Liaison Committee. Ruan is a Director at VDT Inc. 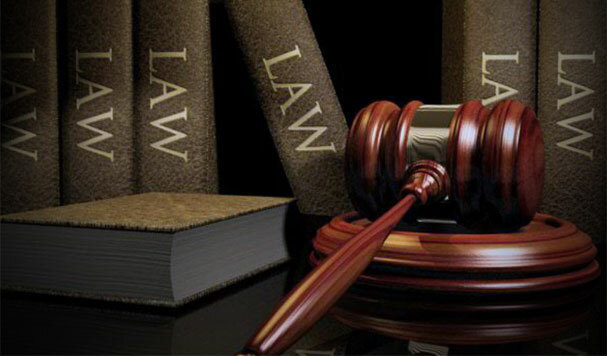 Attorneys and practising as an Attorney and Conveyancer. 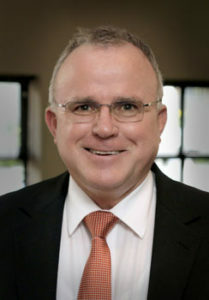 Ruan obtained his B.Com Law degree from the University of Pretoria in 2000 and went on to complete an LL.B degree at the University of Pretoria in 2002. During his LL.B he completed a year programme on Fraud Examination at the University of Pretoria. He joined VDT Attorneys in 2003 and was admitted as an Attorney of the High Court of South Africa and as a Conveyancer in 2005. 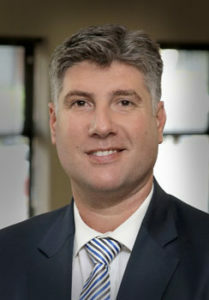 Ruan was appointed as a Director VDT Inc. in 2013. Ruan specializes in the fields of property and commercial law, with specific reference to conveyancing and commercial property finance. Ruan joined the Executive Committee of the Attorneys Association during 2014 as treasurer and is responsible for the financial well-being of the Association. With an LLB and LLM (Corporate and Commercial Law) degree, Bhavna was admitted as an attorney in 2013. 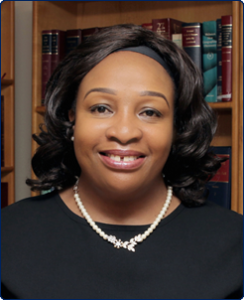 She is currently a Director at VZLR Inc, specialising in general and civil litigation and administrative law. Bhavna became a member of the Executive Committee in 2017 and currently serves as the secretary of the Association. As Secretary, her role involves inter alia preparing the agendas for committee meetings held once a month, noting the minutes of such meetings and distributing such minutes to the committee members to aid in implementing their decisions. Further, as Secretary she receives all nominations for elections held at the Association’s Annual General Meeting. Mari Wilsnach is practising as a Senior Associate at Diale Mogashoa Inc. in Brooklyn, Pretoria. She specialises in Third Party- and Civil Litigation. She was elected to the Executive Committee of the Association in the position of Secretary in 2015. Mari is currently responsible for the portfolio External Information Technology at the Association. With an LLB degree from the University of Pretoria, Riana was admitted as an Attorney of the High Court in 2007. She specialises in High Court and Magistrate’s Court civil litigation and joined Friedland Hart Solomon & Nicolson Attorneys in 2012. She is now a Partner at the firm. 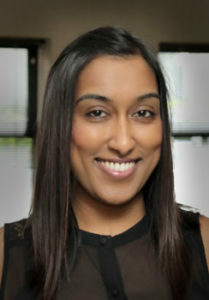 Riana assists in the Candidate Attorneys and Training sub-committee of the Pretoria Attorneys’ Association. 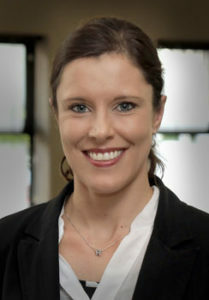 Jessie is a Partner at Friedland Hart Solomon and Nicolson Attorneys practicing at Monument Office Park, 79 Steenbok Avenue, Monument Park, Pretoria. Jessie was admitted as an attorney in 2011 and specializes in Civil Litigation and Commercial Law matters. Dawie is a director of Dawie Beyers Attorneys Inc. practicing at 110 Nicolson Street, Brooklyn, Pretoria. Dawie was admitted as an attorney in 1993 and as a notary in 1994. 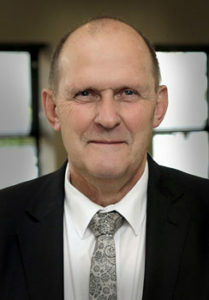 Dawie specializes in Family Law matters, High Court litigation, estates, farming related disputes as well as trust and trust related matters and litigation. Dawie is a member of the executive committee of the Pretoria Attorneys Association since 2005. Dawie oversees the Association’s bursary fund. The bursary fund assists part-time law students who are employed by members. Application forms can be obtained from the Association’s office at the High Court, alternatively on the website. Applications are entertained twice a year and are awarded according to merit. Dawie also oversees the portfolio Members’ Interests and Projects. With a B Com LLB from University of Pretoria, Karen was admitted as an Attorney in 1994, and worked at the Master’s Office and Absa Trust gaining experience in estate matters for seven years. She was also admitted as a Conveyancer in 1997. Karen started her own practice in 2002 and specialises in the administration of deceased estates and deceased estate transfers. 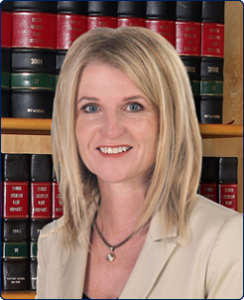 She represents the Pretoria Attorneys Association on the Deceased and Insolvency Committee. In addition, she is chairperson of the Deceased and Insolvency Committee of the Law Society of the Northern Provinces (LSNP) and also serves on the Deceased and Insolvency Committee of the Law Society of South Africa (LSSA). The Committee meets with the Master of the High Court Pretoria on a quarterly basis to discuss practical issues and concerns. She believes that in the long run their input will have a positive effect on service delivery by the Master. Members of the Association are invited to address any concerns or refer any problems to her and she will attempt to resolve same. Our subcommittee meets with the Master of Pretoria on a regular basis to establish open communication, good relationships and to emphasize our joint goal: excellent service delivery to the public and our clients. Our aim is to help establish a Master’s Office that is accessible – having an open door policy would enable our members and the Master to communicate more effectively. We value the importance of open communication. Khumo Mokate is a qualified Attorney, Notary and Conveyancer of the High Court of South Africa. She completed her LLB Law Degree at the University of Pretoria in 2001 and attended the School of Law at UNISA (Practical Legal Training) from January 2002 to June 2002. She then joined the Road Accident Fund where she worked as a claims handler from November 2002 to December 2007. In August 2009 Khumo was admitted as an Attorney and was appointed as an Associate at the merged firm Rooth Wessels Motla Conradie Inc in the Third Party Litigation Department until September 2010. 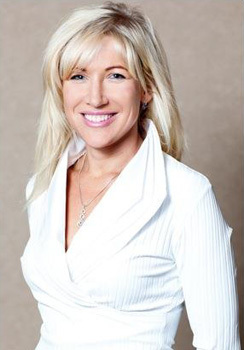 She then joined Motla Conradie Inc. as an Associate Director after its reestablishment. In April of 2012 Khumo was appointed as a Director of Motla Conradie where she heads the Conveyancing Department of the firm. 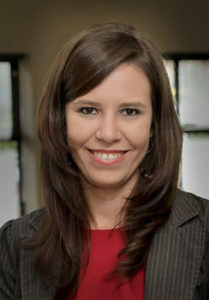 She is responsible for New Membership and Recruitment at the Pretoria Attorneys’ Association. Anton Theron is an admitted attorney, notary and conveyancer. He specialises in all aspects of conveyancing and is the convenor for the conveyancing examination, chairperson of the Gauteng Law Council and current member of the central committees and property committees of the Pretoria and Johannesburg Attorneys’ Association. Anton has been admitted as an attorney in 1981; he was admitted as conveyancer and notary in 1992 and has more than 25 years’ experience as a property law specialist. Additional member of the Law Society of the Northern provinces (LSNP) and the Law Society of South Africa (LSSA). Anton oversees the portfolio Strategy and Planning which deals with the vision and mission of the Association and which sub committee also liaises with other Associations like the Johannesburg Attorneys Association. 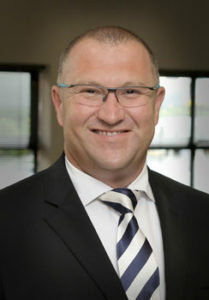 Dawie Bekker is an associate director at the firm Fourie Fismer Inc. He specializes in personal injury claims, Road Accident Fund matters and general litigation in the firm’s High Court Department. He was admitted as an attorney in 2007. Dawie became a member of the executive committee of the Pretoria Attorney Association in 2016 and is responsible for the operations of the PPV offices at the High Court and Magistrate Court. Ruan Steenkamp, is a practising attorney at the firm Nel Van Der Merwe & Smalman Inc. practising as such in the firm’s personal injury department. He specializes in personal injury claims specifically that of third party claims against the Road Accident fund on behalf of victims of road accidents. Prior to joining Nel Van Der Merwe & Smalman Inc., he practised as an attorney at Maponya Inc., for a period of nine years, during which period he was also appointed as a Director of the firm. Whilst practising at Maponya Inc., he represented the Road Accident fund, by defending actions brought against the latter, by victims of road accidents. Previously he was also seconded to the Road Accident Fund for a period of three years, during which he assisted the RAF, with various projects. Ruan became a member of the Executive Committee of the Pretoria Attorneys Association in 2014 and is currently responsible for the Road Accident Fund portfolio. Ruan herewith invites members to bring to the attention of the PAA, through its RAF subcommittee any problems, concerns or issues being experienced relating to RAF claims and occasioned litigation. Members are also welcome and encouraged to submit interesting judgements pertaining to RAF matters, or newspaper articles which are relevant to our field of expertise. Members are urged to share any new trends they experience, as well as their views on any new developments within the sphere of RAF and RABS or associated with RAF litigation in general. The subcommittee endeavors to engage with concerned stakeholders on a continuous basis to address concerns, problems being experienced, in an effort to seek solutions and to bring same to the attention to all its members practicing in this particular field. Members of the Association are invited to direct any comments, queries and suggestions pertaining to Road Accident fund and related matters to Ruan Steenkamp. Gareth Shepperson is the CEO of SHEPPERSON ATTORNEYS & CONVEYANCERS, based in Brooklyn Pretoria. Gareth was admitted as an attorney in 1996 and has been running law practices since 2005. Gareth has been recognised by various organisations for his expertise in the fields of corporate, commercial and property law. This recognition includes being appointed as CHAIRMAN of the South African Property Owners Association (SAPOA) Gauteng and appointments to the SAPOA National Council and Legal Committee. 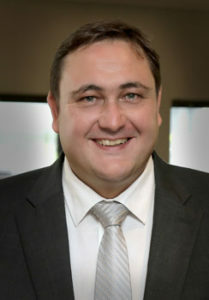 Gareth has also been appointed as CHAIRMAN of the Property Committee of the Pretoria Attorneys Association (PAA), member of the Executive Committee of the PAA, member of the Property Committee of the Law Society (LSNP) and representative of the profession on the Gauteng Interdepartmental Stakeholders Engagement Committee (GISEC). 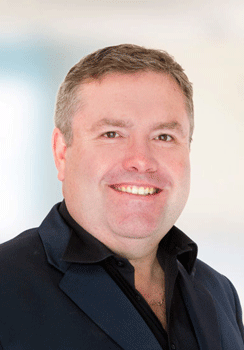 Gareth has written numerous articles and was a frequent guest on “Ask the Property Experts” on Business Day TV. Gareth speaks at a variety of property events and is a guest lecturer at certain Legacy Alliance Property Training Events. In the field of corporate and commercial law, Gareth previously served on the Law Society’s Company Law Committee and he has also been appointed to the SIRDAR Corporate Governance Panel as well as being a member of the Institute of Directors of South Africa. Gareth is a Director of a company offering Independent Trustee services called Elegant Corporate Services (Pty) Ltd and he is a recognised expert on business structures for Property Investors. He is also the Independent Trustee on numerous Trusts.